Boho-chic is the modus operandi for Daytona, detailed with a perforated suede upper and a tasseled side-zip. 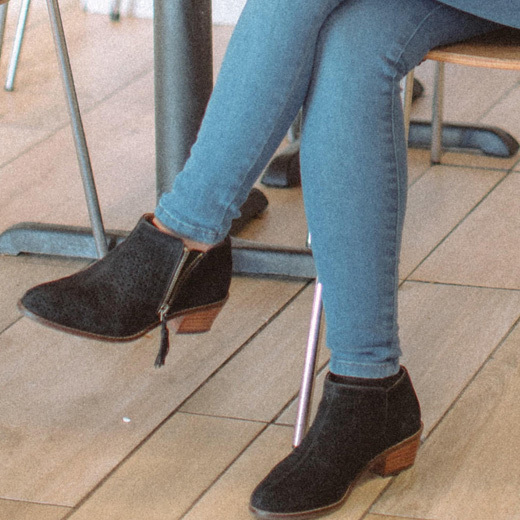 Style is in full-force with Daytona, the it-girl's go-to transitional bootie. 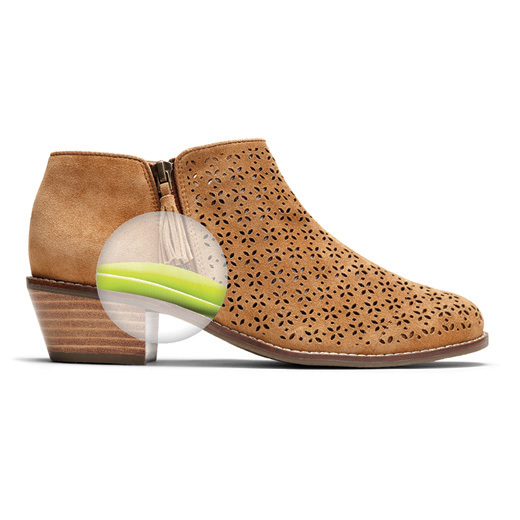 A perforated suede upper adds visual interest and keeps feet cool, while a tasseled side-zip adds boho-western flair. I bought these a few months ago. I love the style. I initially purchased the same size I usually wear in Vionics boots, but it was very tight around my foot (which is an odd occurrence since I have narrow feet). I exchanged for a full size bigger, and those fit perfect. Unfortunately, the bottom of the heel came off both boots a few weeks ago (leaving the wooden heel open on the bottom). The boots are super loud and clicky without the bottom of the heel.. It's too late to return them, so I'll have to find somewhere that can repair the heel. It's just frustrating and disappointing since Vionics are rather expensive. Brown are so cute with jeans! Perfect boots for I plantar fasciitis. Comfortable and the heel height is perfect for lots of walking. Great the for spring, summer and fall. Loving these and get lots of compliments! I love Vionic shoes, but this one missed the boat. Usually I buy and it fits. I bought this shoe in my size and couldn't even get it on my foot! Too narrow and when I did force the shoe onto my foot, it fit at a weird angle. The arch support was under the ball of my foot and not in the arch at all. Maybe it was marked the wrong size. But I had to send it a back and am wary of trying another vionic shoe that I don't try on in the store. They are a tiny bit loose on me. But i think the 1/2 size smaller would be too big. At least that’s my experience with your 9 1/2 size. Love this boot. I have probably over 30 pairs of vionics , these boots , the adley sneaker and Daisy sandals are my favorites. I wish you would design some open toe boots with 1 1/2 inch heal for summer. Coming back soon to purchase the rose gold Daisy sandals. I wish you had it in blue like last year. Truly happy with my purchase and quick delivery. I bought this and was so happy with my purchase. Looks great on jeans. It will be great to have wide width on this style.